Nick Cannon is one of many that wish to morph into Rihanna’s dress. When Rihanna posted a series of photos in a skin-tight gold dress today, we knew already that at least one celebrity would fall for the trap. While the purpose of the photos was to promote RiRi’s new Fenty Beauty product, it had men and women around the world wishing they could either become Rihanna or date her. Nick Cannon wasn’t shy about shooting his shot, making the first move in her comments section and letting the world know that he wants to hug her as tightly as the dress she’s rocking. Nick Cannon is known to fall for more mature women, famously having children with Mariah Carey and telling Pete Davidson that instead of chasing young ladies, he should try and find himself a Halle Berry. It seems Pete took his advice seriously too as he’s now dating 45-year-old Kate Beckinsale. 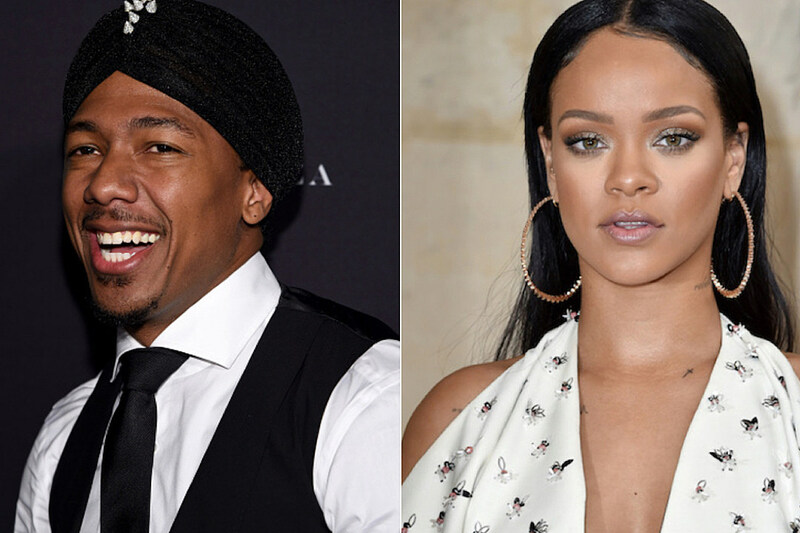 Rihanna isn’t even close to being in her forties but Nick Cannon is still liking what he sees… a lot. He commented on her photo to ensure that she’s aware of his wishes. “I never wanted to be a dress before this moment in life,” said the comedian, adding tons of fire emojis on the side. Clearly, he’s down so it’s up to Rihanna to make the next move. Though we don’t see Rihanna leaving her billionaire boyfriend for Cannon anytime soon, could you see these two together?